When you're doing an electrical or plumbing job, or quoting for one, you often need to know what work was done previously. But searching through your email history or jobs folder can often be time-consuming and frustrating. Even when you have found the information you need, you often still need to send this to your engineers who may be on site. If the job has already been done or if you have an irate customer asking what you are doing, it may be too late. 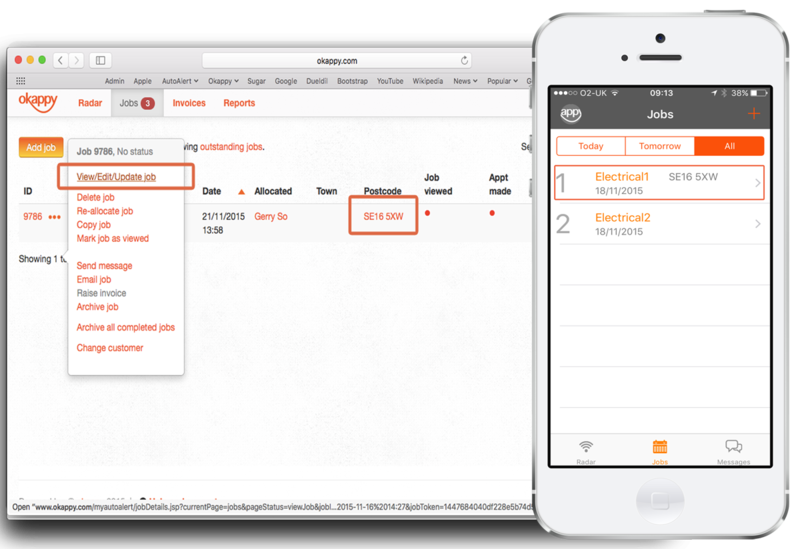 With Okappy, you and your engineers can easily view the job history from your computer or mobile phone without having to spend a lot of time searching through different systems or files. Check out our quick guide showing you and your engineers how to get your job history from a customer or site. From the Okappy dashboard, click on the More option button ( ) then click View/ Edit/ Update job. 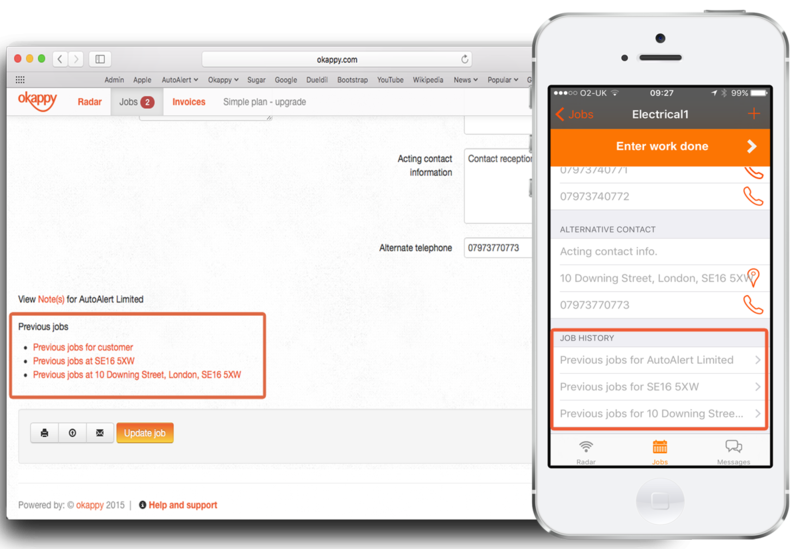 From your mobile, simply click on the relevant job from the jobs screen. Scroll to the bottom of the job sheet. If the job is for a customer or if the job is for a particular site, then an option to view the history for that customer and/or for that site will be shown. 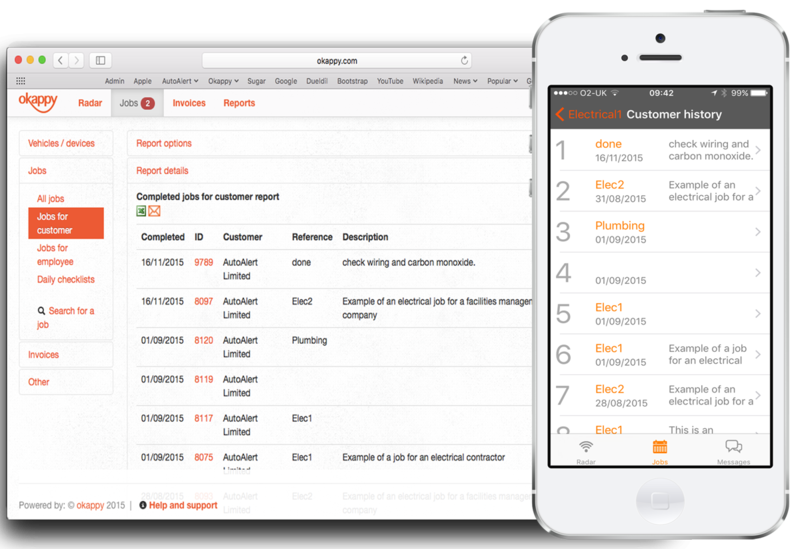 All previously completed jobs for that customer or address will appear on your screen with the Completed date, Job ID, Customer, Reference and Description. You can click on any of those jobs to get more details if needed. If you're logged in on your computer, you can export the details to excel or email the information to your customer. Note: For ease of use, only the last 15 jobs are shown on your mobile. This number of jobs shown can be changed if required. Contact us to find out how.